When looking for long distance movers Toronto has to offer, check out My Ninja Movers for expertise and quality at a price you can afford. Serving the entire Greater Toronto Area, our clients enjoy consistently fast, reliable, and personalized service. With the best tools and resources at our disposal, you will enjoy an efficient and satisfactory moving experience. My Ninja Movers employs a trained and skilled team of professionals to perform residential and small office moves. Operating in the Greater Toronto Area, our long distance service covers a move that starts or ends in the GTA, with the other destination outside the city. We accommodate moves in southern Ontario and as far north as Ottawa. A free estimate is available by phone and this service is helpful especially when hiring a mover for the first time. If you’re ready to start, go to the online quote form. 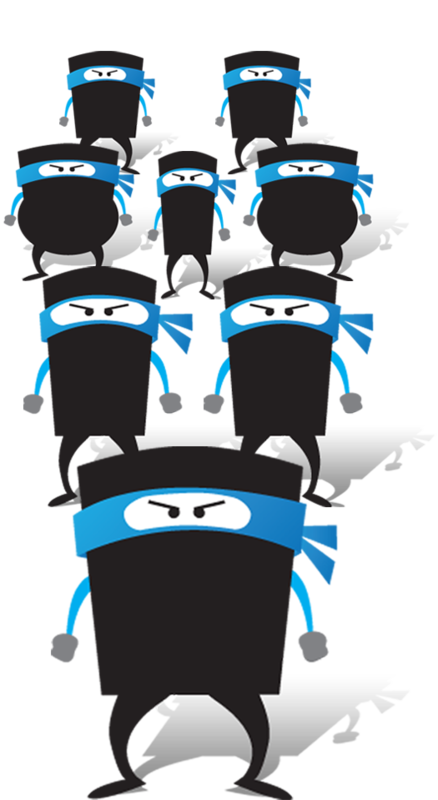 A Ninja consultant will communicate with you to gain a clear understanding of your unique circumstances, and put together a clear and concise quotation. We follow industry-standard pricing and details considered will include the time and number of men required for the move, the load, accessibility & proximity to the truck, and distance traveled to the destination. All charges will be clear in the quote, including an explanation of any potential additional fees. No surprises on moving day! Our movers arrive equipped with dollies, blankets, shrink wrap, mattress covers, tie down straps, ropes, tape, etc.. We also provide a rental service for hard plastic, stackable moving crates. These are a good idea and worthwhile expenditure, especially with sizable moves. The strength of the crates provides extra protection for your belongings, and the uniform size and shape of the crates means easier loading in an organized way. The end result is often time saved. Taking from our name, we assure our clients of the speed, precision, and skill in every move. Our unyielding efficiency keeps you confident that we have things under control throughout your move. Call us now for a free estimate, or fill out our online quote request form. Our staff, moving trucks and various resources are always allocated accordingly. We are attentive to all your needs and understand that everyone is different. For your convenience, we provide our customers with free estimates by phone, or through our on-line portal. No hidden, last minute or surprise charges – what’s quoted, is what you pay. All fees disclosed upfront, including fuel charges should they apply, as part of our quotation. Fully uniformed staff and superior service.